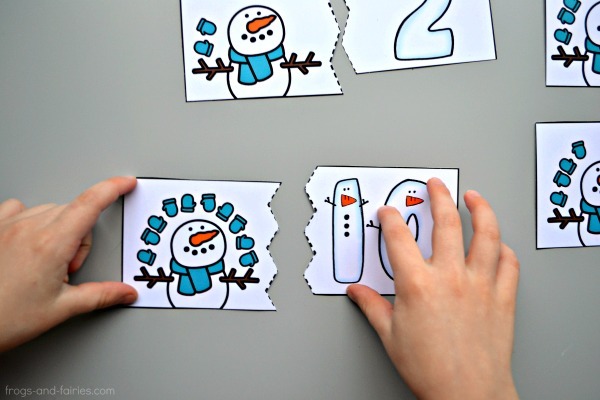 Practice counting with these free snowman counting puzzles! 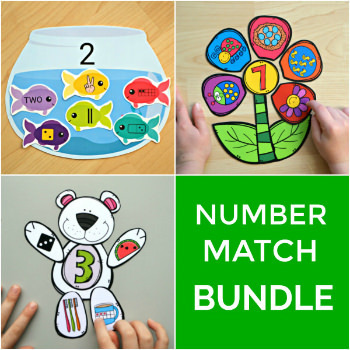 Your kids can practice numbers 0-10 with these simple two-piece puzzles! One of the puzzle pieces has one of the numbers 0 through 10 and the other piece has the matching number of mittens. Each puzzle has a different line that connects the two pieces together, making the puzzles self-correcting. 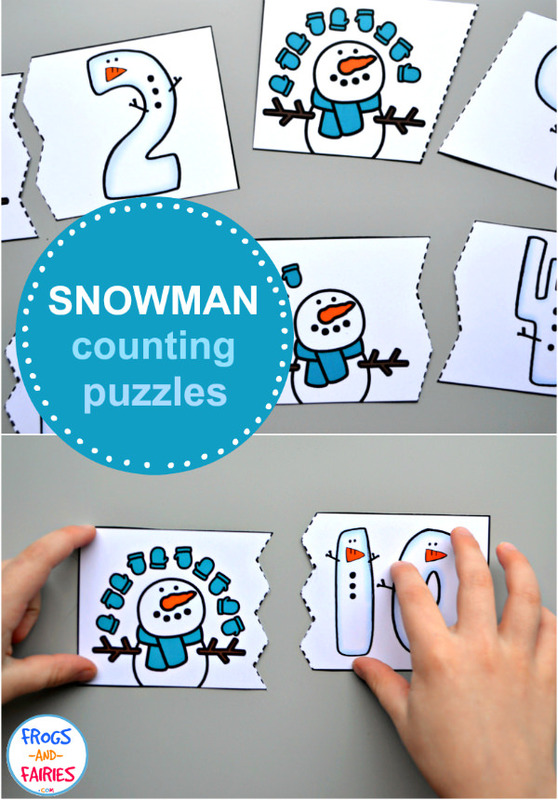 This printable PDF contains 4 pages of 11 snowman counting puzzles. 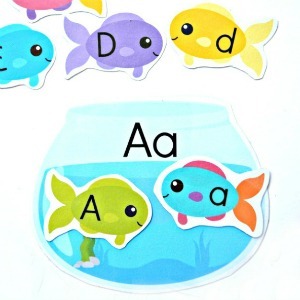 To prep: Print out the puzzles and cut them out. Print on cardstock or laminate for extra durability. 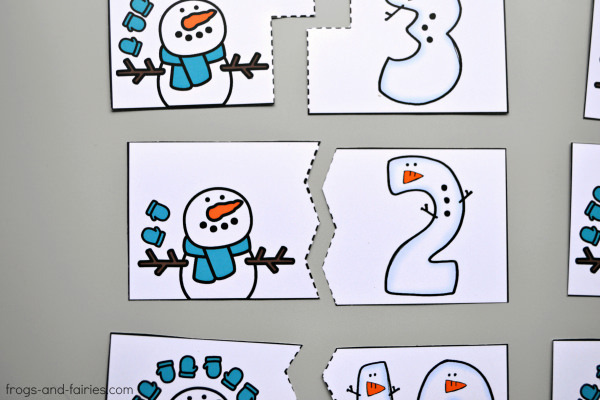 To play: Your little learners will count the snowman’s mittens and match the puzzles with snowmen to numbers. Have fun! This printable is currently free! Enter your email below to receive it and also subscribe for more fun ideas and free exclusive printables! I love your website. 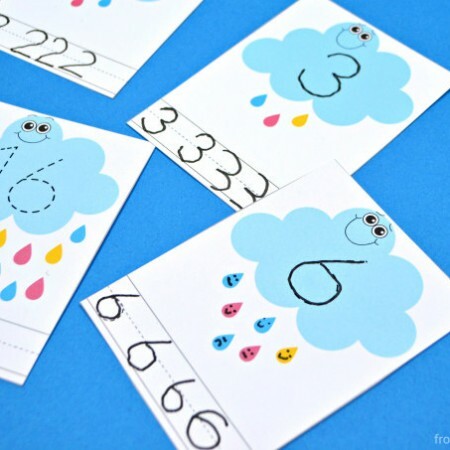 Did you make those cute snowman numbers? Thank you for sharing some of your items. Thanks to your site I will have some new things for our kindergarten classroom. Have a good rest of the weekend. Thank you so much, Leilani! 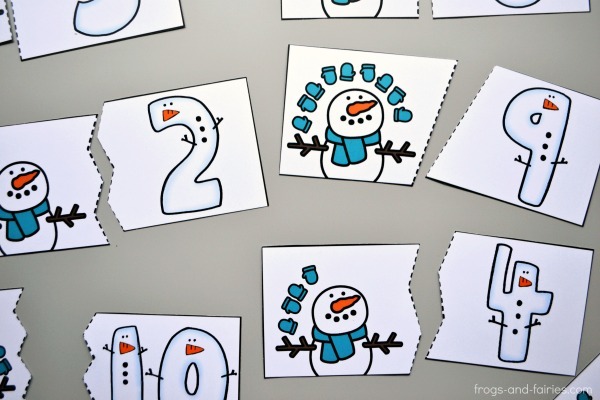 This adorable snowman numbers clipart is by P4 Clips Trioriginals . 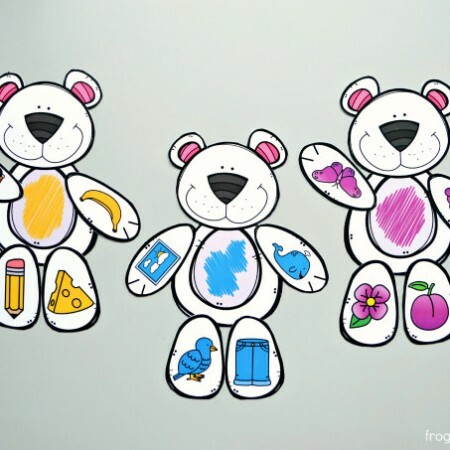 I hope your kids will have a lot of fun with these puzzles! I could not find where I can click to get the snowman printable or to subscribe. Thanks for your help! Hi Jill! You can subscribe by entering your email address in the pink opt in box above (in this post) and click subscribe button. If you’d like, I can add you manually, just message me. Then you’ll receive the link to get the printable by email. I tried clicking on the pink box to enter my email for this freebie, but it isn’t taking me anywhere when I click. Would love this cute file though! Hi! Please check your email, it should be there If not, let me know and I’ll add you. Hope to peruse your website/shop regularly. 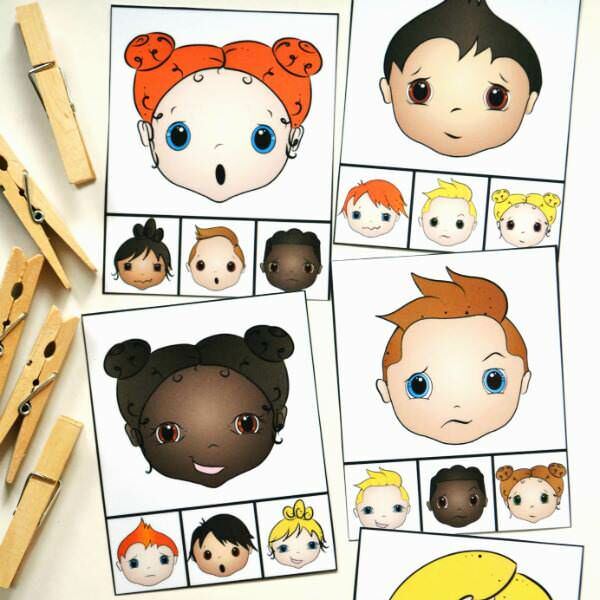 Is there a way to get this adorable printable? I click on the pink subscribe button and put in my email. Then I go to my email and it takes me back here. So I go back to the snowman printable and do it all again, but I just keep going around and around. I have subscribed four times now but cannot find the link to the printable- I am just going in circles. the first link in the email you receive should take you to the page with the exclusive freebies. Its password protected so you must use the password that’s included in the email. Once you log in with the password you should be able to download any printable you want by clicking on the download links.